Dr. Bellew is fellowship trained in Vascular Neurosurgery and Endovascular Surgical Neuroradiology. He completed his undergraduate degree at the University of Florida and graduated with honors earning a B.S. in Biomedical Engineering. He was nominated for Phi Beta Kappa and the Tau Beta Pi Engineering Honor Society. He studied medicine in Tampa at the University of South Florida. He moved to New Orleans for residency training in neurological surgery at the Tulane University School of Medicine and became a member of the Alpha Omega Alpha Medical Honor Society. While serving as Chief Resident at Charity Hospital, he weathered Hurricane Katrina with his patients and cared for them until they were all evacuated the following week. He finished with three years under the tutelage of the prestigious Indianapolis Neurosurgical Group. Dr. Bellew has authored publications in peer-reviewed journals and has made numerous presentations at both regional and national neurosurgical meetings. He is dedicated to medical education and has served as an instructor to medical students and nurses throughout his career. 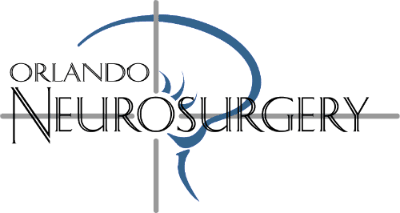 Current areas of clinical interest include surgical and endovascular treatment of brain aneurysms, arteriovenous malformations, and stroke. Dr. Bellew devotes a significant portion of his practice towards stroke prevention with revascularization procedures including carotid endarterectomy and stenting, vertebral and intracranial stenting, and brain bypass. He performs a broad spectrum of percutaneous spine procedures including vertebroplasty, kyphoplasty, and sacroplasty. He is Gamma Knife Certified. Dr. Bellew is a member of the American Association of Neurological Surgeons, the American Society of Neuroimaging, the Congress of Neurological Surgeons, and the Society of NeuroInterventional Surgery.